This brief but powerful guide will help anyone regardless of race or creed who is sincerely seeking God’s help to survive the end time days and enter into the inheritance (eternal life), promised by God the Father. The compilation includes selected prophecies contained within the Book of Truth to inform us of the key events that will unfold in the lead-up to the momentous and all-important Second Coming of Jesus Christ. It answers the important question of how we should prepare materially and spiritually for The Warning and the Second Coming. The Crusade Prayers are arranged in various categories: according to chronological order, and various purposes e.g. prayers for the Church, priests, etc. ChristoGifts have now secured some great rates with DHL for fast deliveries to the US. 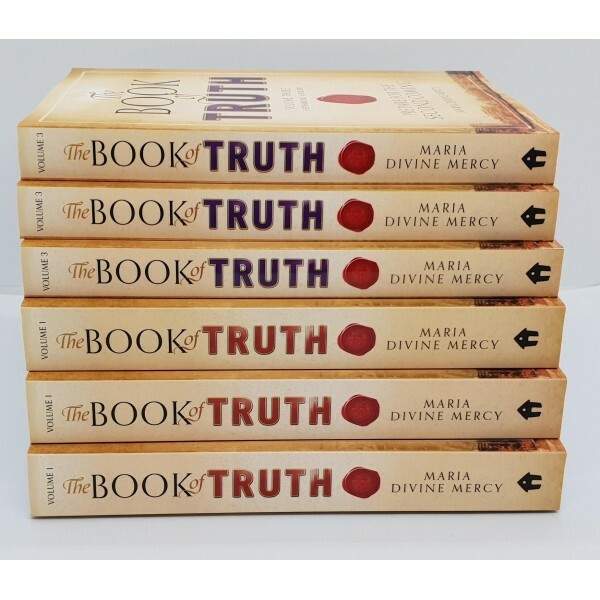 For copies of Book of Truth Vols 1 and 3 please visit the link below. Please ensure that you have selected USD as your currency on the top right of the page, and that your delivery is being shipped to an address within the United States to ensure you get the correct rate applied. All prices listed include Express Shipping via DHL! My dearly beloved daughter, My Tears flow in great torrents at this time as the Holy Word of God is being torn asunder.Love for Me, Jesus Christ, has dissipated and the spirit of My Church is drying up so that, soon, it will become but just a desert. It will be bereft of life and only the true faithful among My Church will keep the Heart of My Love beating steadily, while everything else, which surrounds it, will become dehydrated with every ounce of life sucked from it. I just wanted to bring your attention to a couple of updates going on with the blog. I have been adding the videos made be a group of people which are the audio version of the messages and crusade prayers to the messages here on the blog. I also have been working on adding tags to the messages to make it easier to search for a particular message.